Please contact Paul Bashford to arrange a convenient time. If our opening times are not suitable or you wish to avoid any unnecessary waiting, please contact Paul Bashford to arrange a personal appointment outside these times. Please be sure to order your Name Tapes early to avoid any delay. You can order these at the shop, by telephone or fax. Please click here to access the Campus Map for our location. 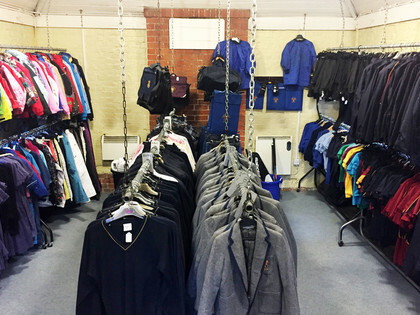 The Second Hand Uniform Shop is open every Monday during Term Time from 2.30 to 5.30pm. 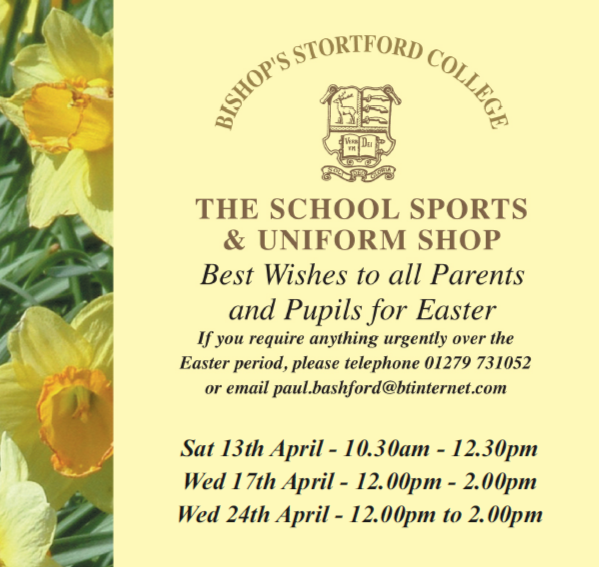 Opening hours during the Easter holidays are from 2-4pm on Monday 8th April and from 2-4pm on Monday 15th April. 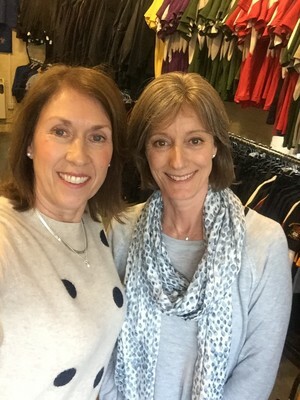 We stock an excellent range of the whole College uniform, all the sports kit, bags, hockey sticks and even ski wear and snow boots, all at very reasonable prices. Second hand items to be sold must be clean and in good condition. We reserve the right to refuse any article considered not fit for re-sale. There is a 50% handling charge. Articles not sold after a reasonable period of time will be given to a charity. To find the shop, take the very first left turn as you enter the school campus via School House Drive from the Hadham Road (towards the Mem Hall and swimming pool). It is the small red brick building in the corner.